There are places in Australia that still retain an aura of wilderness and isolation in this day and age of Google Earth and online web sites. One such place is O’Reilly’s Guest House in the hinterland of the Gold Coast, now known as O’Reilly’s Rainforest Retreat. I went there as a lad of 14 sitting perched in the back seat of the family’s two tone 1958 Holden. I saw the world go by from the back window and it was a world I longed to explore again as an adult. I went back recently on a pilgrimage to recapture the wild places that left an indelible imprint on my young heart. Gazing at the faraway blue hills from the balcony of my Broadbeach high rise holiday apartment, something from the mists of time touched me deeply. It was like a call from the wild. I had to go back to O’Reilly’s. Next day, I jumped in my car and went for a drive up to O’Reilly’s in the jungle clad paradise which survives so close to Australia’s holiday mecca. It’s more than a drive: this is a journey even in this modern day and age. I hadn’t been there for 50 years. And I was not disappointed. O’Reilly’s, sitting high on the edge of the lonesome Lamington Plateau, is still a place that draws wild hearts from around the world. After a driving to Nerang and then climbing through rolling hills, I turned off the main road at Canungra, a lovely little town that was home to a famous jungle training base in the Vietnam War. The road is still a twisting turning angry serpent that takes a lot of concentration. But the journey is well worth the effort. The views still take your breath away. The O’Reilly family arrived at the remote homestead in 1911. In those days, Southport and Nerang were the main towns in the region and they were connected to Brisbane by riverboat. Surfers Paradise was just an isolated stretch of sand dunes with not a building to be seen. In 1915, Lamington National Park was founded and it effectively isolated the O’Reilly’s farm from the outside world. 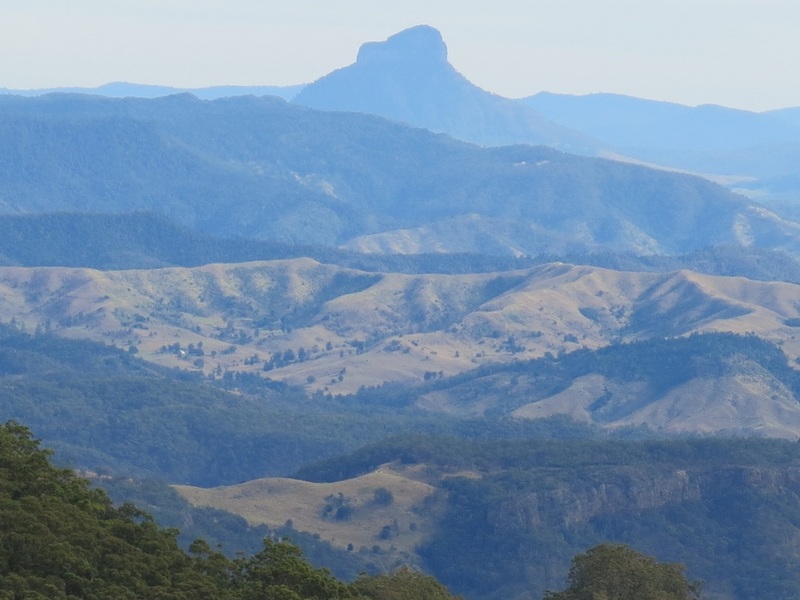 Lamington wasn’t the state’s first national park but it became known as “Queensland’s National Park”. O'Reilly's really gained fame through an air crash in 1937 when young family member, bushman and author Bernard O’Reilly used his bushcraft to save two passengers who lay injured in the dense forest. 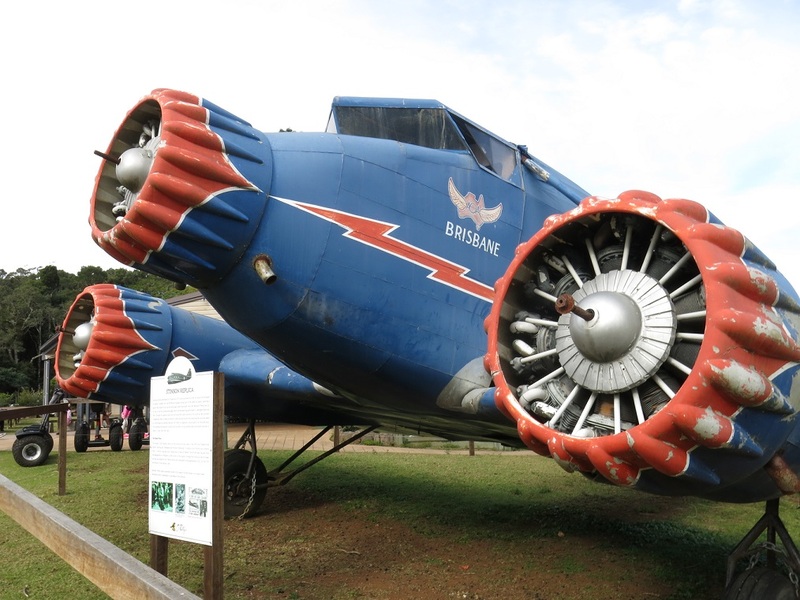 Their Stinson aircraft was travelling from Brisbane to Sydney when it became lost in cloud and heavy rain. It circled the area and then headed straight for the McPherson Range. Bernard reckoned it had crashed and he knew where it would be. He promptly “headed bush” on a one man rescue mission. He found two passengers alive, with the two pilots and three other passengers all deceased. They had survived on rain water and one was uninjured, the other having a broken leg. Bernard gave them a cuppa, discussed the crash, told them the test cricket scores and made them as comfortable as he could before he headed back home to arrange a rescue party. Today, a full size replica of the Stinson which was used in a Jack Thompson movie about the crash is on display at O’Reilly’s. 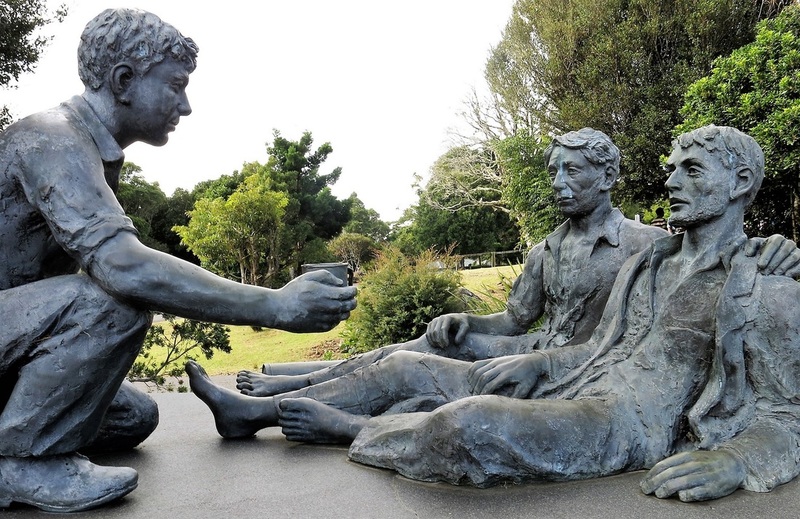 A bronze lifestyle statue commemorates the amazing rescue. 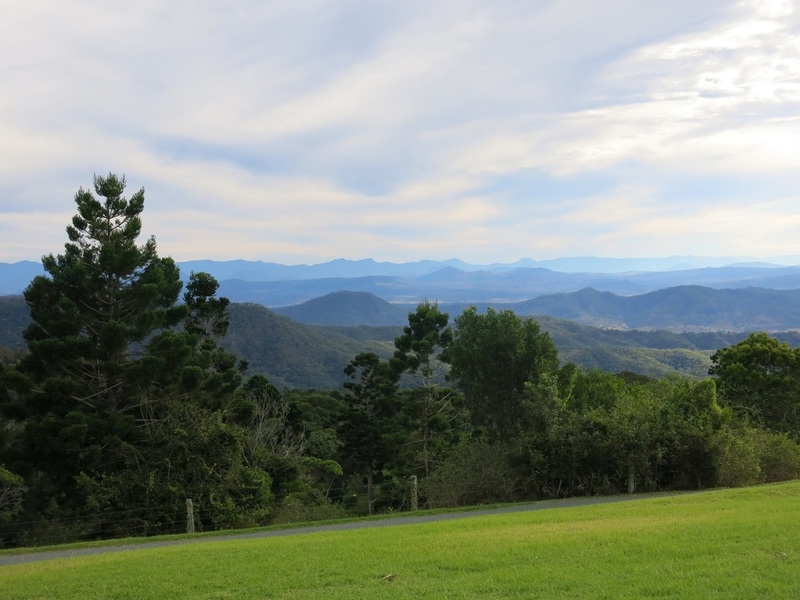 The guest house has certainly grown into an excellent retreat and tourist hub, with a nice restaurant made for enjoying the stunning views of Mount Warning and the Lamington Plateau. However it is no longer isolated. There were literally hundreds of tourists there and surprisingly there were a lot of international visitors. I quickly realised that the O'Reilly’s I saw as a boy no longer exists. When I visited all those years ago, my family was the only car in the car park and we had the place to ourselves. You were just a guest in a wild, wild place. Still, I wasn’t disappointed, I am glad more and more people are seeing the wild places. The views are still as sublime as ever. The mountains cascade away into NSW to the south, entrancing the eye with 100 shades of blue, green and gray. But it was not to be. There are still wild hearts to be found, but sitting in a restaurant was not the place to find them. However I quickly came to my senses back outside: there was family all turned out in their best hiking gear ready to face the jungle trek. Maybe wild hearts do still beat in the wild places after all.